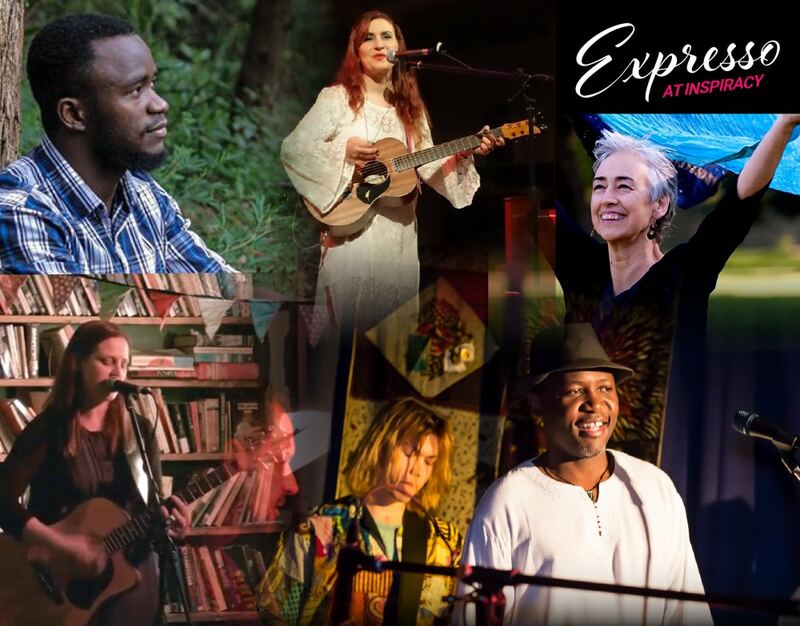 The first Expresso of 2018 will be part of the Inspiracy Festival, featuring a brilliant lineup of performers responding passionately to justice and climate change. Featuring Trish Watts vocalist and songwriter who will lead a pop up choir with acapella songs! Heather Price will rock the Dungeon with her lyrical voice and original songs. Roje Ndayambaje, spoken word poet tells the story of his African roots and his experience as a refugee with eloquence and power. Rachel Collis, an amazing voice and songwriter, will explore the challenge of being human with humour and grace. Finally Berias Masseque and his seven piece Afro Fusion Band will provide music that invites you to get up and dance, celebrating life with freedom and hope. Tickets available online at Trybooking (TICKET G) or at the door. Tickets $10/5 conc.